Rotated dies are relatively uncommon in the shield nickel series. 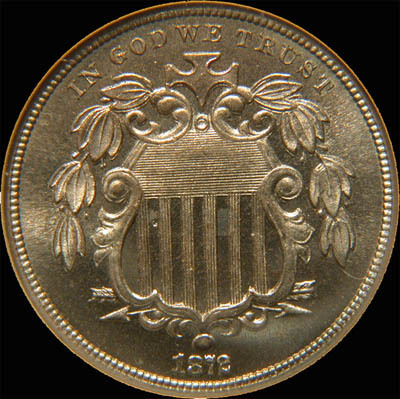 This 1872 is not only a rotated die, but it is a proof strike. Not only a rotated die on a proof strike, but also a doubled die obverse. What more could you want? Photo at left shows the doubled die. 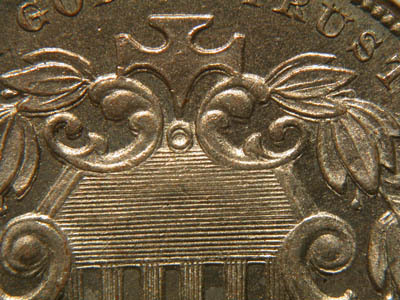 The photos of the obverse and reverse are positioned to show the amount of die rotation. It is nearly 180 degrees. 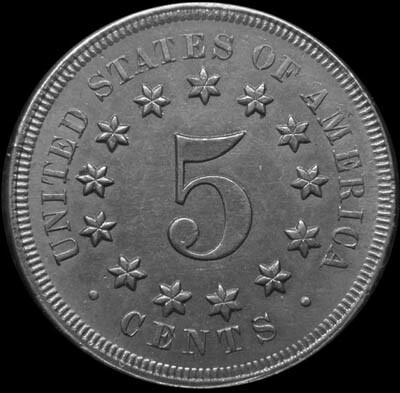 In 1867, an original 25 no rays proofs were issued with a different reverse than is found on 1867 no rays coins, including the later proofs. The reverse is distinguished by the positioning of the stars relative to the letters. Stars point to first T (STATES), first A (AMERICA), E (AMERICA). 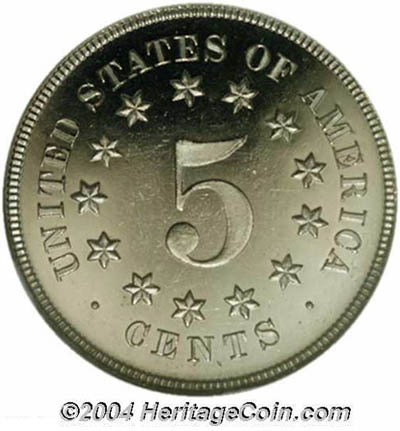 This reverse was also used for some pattern coins. Photo courtesy of HeritageCoin.com. I would like very much to borrow a specimen of this variety in order to take a better photo. 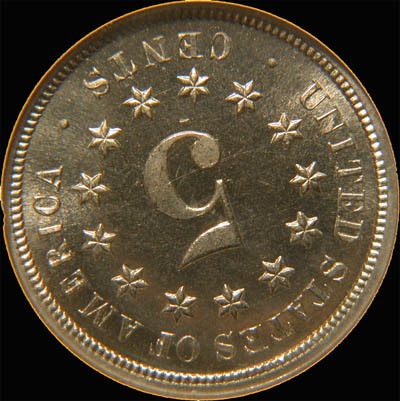 For comparison, here is the reverse typically found on 1867 no rays coins. Stars point to left foot of A (STATES), to the space between AM (AMERICA), and to the left foot of R (AMERICA).